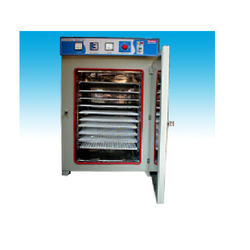 Manufacturer of a wide range of products which include hot air oven and tray dryer. Keeping the requirements of the clients in mind, we are engaged in manufacturing and supplying Hot Air Oven and Tray Dryer. These dryers are widely used for conditioning, preheating, curing, drier drying, baking and sterilization purposes. All drivers manufactured in tandem with industry set standards by using quality-tested material procured from the authentic vendors of the market. our experts rigorously test these driers on different parameters of quality, before the final dispatch to the customers.